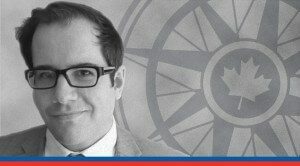 Alex Wilner argues Western countries like Canada will face some tough work to contain the offshoots of ISIS following the terror group's imminent defeat. This op-ed is based on a forthcoming commentary in the Global Security Look Ahead series. Two years later, the strategy seems to be working. In the past few months the group has retreated from the Iraqi cities of Ramadi, Tikrit, Abu Ghraib and Falluja, and an allied offensive is underway against its last major urban stronghold in Mosul. In Syria, ISIS lost control over Kobane, Manbij, Palmyra and a strategic smuggling corridor linking northern Syria and Turkey. Allied operations against Raqqa, ISIS’s Syrian capital, are expected soon. Further afield, ISIS has been pushed out of the coastal city of Sirte, Libya – its most prominent enclave outside Syria and Iraq. ISIS’s territorial defeat is an absolute necessity. But the caliphate’s collapse will create new counterterrorism challenges in the months and years to come. By all measures, ISIS’s recruitment has been phenomenal. American intelligence agencies estimate that, since 2011, 40,000 foreigners from over 100 countries have travelled to Syria and Iraq. Many have joined ISIS’s ranks. With ISIS now facing strategic defeat, attention must be paid to anticipating what the caliphate’s territorial collapse will mean to its remaining foreign fighters. Five different scenarios could play out. The most optimistic is that some foreign recruits will leave the battle altogether, turning their backs on terrorism for good. European intelligence reports indicate that some European recruits have returned home fully pacified. Some returnees might even turn out to be counter-terrorism assets. They may provide intelligence on ISIS recruitment processes, motivations and ambitions, on the group’s ideological narratives and propaganda machine, and on militant alliances, operations, training and leadership. But returnees also introduce other challenges, such as distinguishing individuals who have rejected violence from those who retain a degree of sympathy for ISIS and militancy. Even then, is a rejection of militancy sufficient in cases where returnees continue to adhere to (non-violent) fundamentalist ideologies and practices? Another potential outcome is some foreign fighters deciding to stay in Iraq and Syria following ISIS’s defeat. Even if Mosul and Raqqa fall, ISIS’s ideology will survive. So will some of its networks. And remnants of the caliphate may take advantage of Iraqi and Syrian instability and sectarian divisions to re-establish themselves as new terrorist or insurgent organizations. Another subset of ISIS’s foreign recruits may otherwise join the ranks of other militant groups already active in the region, including al Qaida’s most prominent franchise, Jabhat Fatah al-Sham (formerly known as Jabhat al-Nusra) in Syria. ISIS and al Qaida had a violently strained relationship in the past, but a merger remains a possibility. Perhaps the destruction of the Islamic State could provide just such an impetus. The conflict with ISIS is entering a new and uncertain phase. As the caliphate collapses, the resulting shards may prove nettlesome to contain. Other foreign fighters may travel abroad to establish or strengthen militant offshoots in Jordan, Tunisia, Saudi Arabia and elsewhere. We shouldn’t forget that, two years before ISIS’s declared caliphate, militants linked to al Qaida did much the same in parts of Mali, ruling a territory roughly the size of France for nearly a year. Only military intervention in 2013, spearheaded by France, defeated this jihadi proto-state. Yet surviving militants regrouped both within and beyond Mali, spreading mayhem and death to Burkina Faso, Algeria, Niger and Côte d’Ivoire. All of this is already happening. The 2015 and 2016 attacks in Paris and Brussels, along with a string of other attacks across Europe, Turkey and elsewhere, were orchestrated by foreign fighters sent by ISIS to conduct terrorism. More of the same should be expected.